Check out this Lucas School pinboard showcasing all San Jose has to offer students. 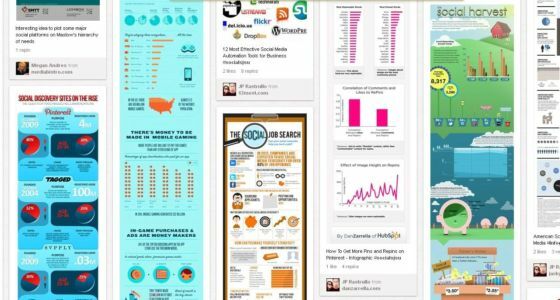 Pinterest, one of the fastest growing social media sites in history, has taken campus by storm. For example, a graduate program and journalism class have adopted this new social media tool into their marketing tactics and curricula. The Donald and Sally Lucas Graduate School of Business and Mass Communications 139 are utilizing this tool to bring more attention from the outside community to what is happening on campus. “It (Pinterest) allows prospective students, particularly international students, to imagine themselves at San Jose State University, and shows them the faces of the people they will encounter if they become students,” said Catherine Dougherty, Lucas School program coordinator. In this way, the Lucas School is using this social media tool in an attempt to recruit more students into their program. Dougherty says that the use of Pinterest allows their department to show the university to potential students by displaying photos. The various “pinboards” on the Lucas Graduate School of Business Pinterest site draw attention to the beauty of the SJSU campus and showcase the programs that this college provides. MCOM 139 is a class being offered by Michael Brito in the School of Journalism and Mass Communications. Brito’s class has also begun using Pinterest to help his students keep hip to current trends occurring within social media. Brito challenges his students to regularly post content relevant to social media onto Pinterest in an effort to build their understanding of the site and further develop their personal brand. 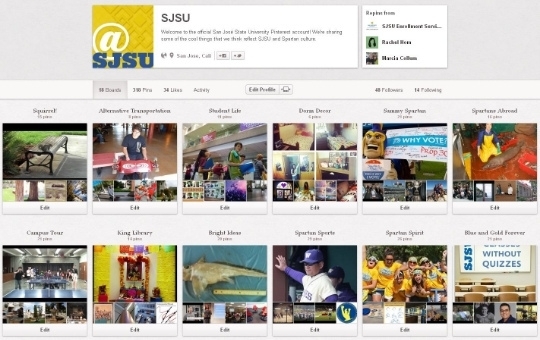 The use of Pinterest at San Jose State University is rapidly growing and these two examples are on the front line of bringing this new medium into the classroom. Check out the Lucas MBA Programs Pinterest account to see what this school has to offer, and the MCOM 139’s Pinterest account to see what Brito’s students are saying about social media.